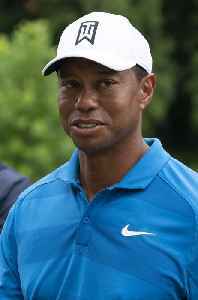 Eldrick Tont "Tiger" Woods is an American professional golfer. 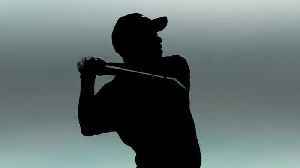 He is considered one of the greatest golfers of all time, ranking second in both major championships and PGA Tour wins, as well as holding numerous records in golf. Tiger Woods says the world now knows why he's balding after he rolled back the years to win a fifth Masters trophy at the age of 43. 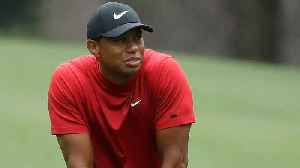 The veteran golfer had been bereft of major championship victories..
Serena Williams cried while watching Tiger Woods win the 2019 Masters Tournament. Woods returned to the pinnacle of golf after 11 years without a major victory when he won one of the sport's biggest..
Tiger Woods completed an improbable comeback. 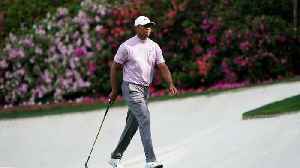 Business Insider reports that Woods has won the 2019 Masters. Woods trailed Francesco Molinari by two strokes entering the day and by three after six..
NO USE ON SOCIAL MEDIA. 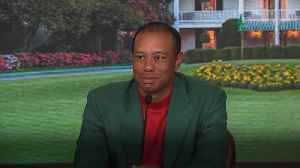 Two years after believing his career was over, Tiger Woods held his nerve on a wonderfully chaotic final day at Augusta National to win his 15th major title, and a first in 11..
Tiger Woods relished the way his life had come "full circle" after celebrating his thrilling Masters victory. Tiger Woods has won his first major title since the 2008 US Open in the 83rd Masters at Augusta National. 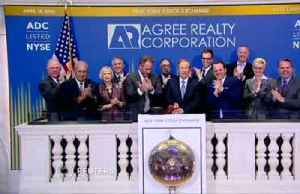 Here, Press Association Sport delves into some of the 43-year-old’s remarkable career..
BusinessInsider.com reports Tiger Woods made an amazing sports comeback on Sunday, winning the Masters! This makes Woods' 5th official Masters victory. 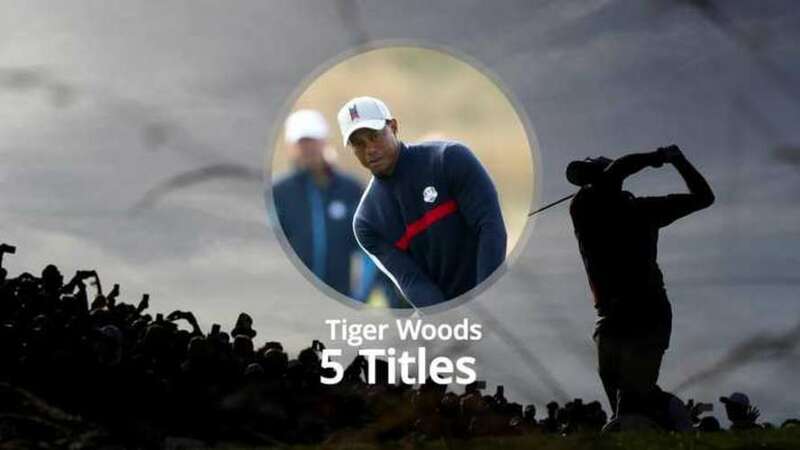 At the initial height of Woods' career, he was..
As Tiger Woods claims his fifth Masters win at the Augusta National Golf Course, we look at which golfers have won the most Masters titles. 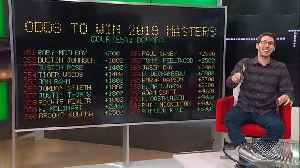 Is It Worth Betting Tiger Woods To Win The Masters? Tiger Woods has not won The Masters since 2005. Is there value in betting Tiger to win this year at +1400? For the full Masters preview, click here. Country singer Jake Owen told an amazing story on Barstool Sports' Fore Play podcast about an encounter with legendary golfer Phil Mickelson. Owen ran into Mickelson at Jordan Spieth's wedding the day..
With the Masters only three weeks away, SI's Daniel Rapaport wonders if Tiger Woods' current form is good enough for him to compete. 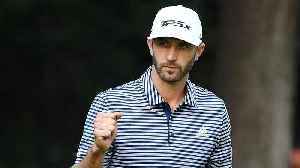 Heading into this week's Players Championship, the former world number one golfer Tiger Woods said at a news conference on Tuesday that, after withdrawing from last week's Arnold Palmer Invitational..
Dustin Johnson absolutely dominated at the WGC-Mexico Championship, leading SI's Daniel Rapaport to wonder if he's actually been the best golfer in the world since Tiger Woods' peak. The Wisconsin native gave conflicting reports to various outlets after collecting his winnings, and USA TODAY Sports has uncovered long criminal past. A video made the rounds as Tiger Woods won the Masters of him watching doubters roast him. For the Win explains the real video. From Tiger Woods and Donald Trump to the Notre Dame blaze, here's Monday's top news. The final round of the Masters drew respectable television ratings Sunday — though its unusual morning time slot certainly limited its potential. 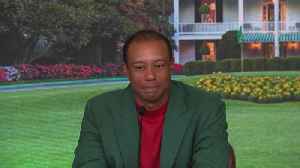 What I'm Hearing: Golfweek's Steve DiMeglio spoke with a number of PGA stars following Tiger Wood's win at the Masters and they all were in awe at the superstars comeback. Scandal, injury and a win drought left Tiger Woods with few major sponsors. But he still carries branded logos on his shirt, bag and clubs. Tiger Woods' road to becoming the 2019 Masters champion was paved with a long list of personal struggles. The win was 14 years in the making and marks a new chapter in the golfer's life. It also could..
Tiger Woods thrills and stuns the sports world, winning his fifth Masters championship in an extraordinary comeback. Also, severe weather is battering the Northeast, while the South and Midwest assess.. Ranking Tiger Woods&apos; 15 major championships: Where does 2019 Masters fall? When it comes to accomplishing the seemingly impossible, nobody has done it more or better than Tiger Woods. Tiger Woods won his 5th green jacket at the Masters and was thrilled his family was there. 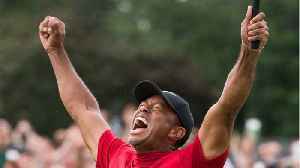 by Adam Yardley - Tiger Woods has made a sensational comeback on golf’s main stage this past weekend, having sensationally won the 2019 Masters Tournament. It is his first Masters title since..
Woods won the Masters for the fifth time in his career and first time since 2005. 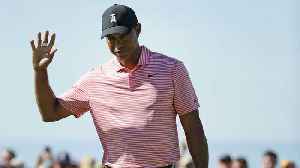 Tiger Woods won Sunday with a score of 13-under 275, two strokes ahead of Dustin Johnson, Brooks Koepka and Xander Schauffele. With a stacked leaderboard at the Masters, we break down the win probabilities for the top players in contention. The final round will tee off Sunday. 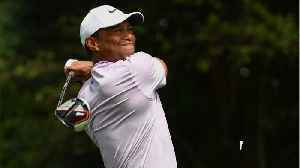 Tony Finau will play in the final group of the Masters on Sunday with his idol Tiger Woods after finishing the third round tied for second.